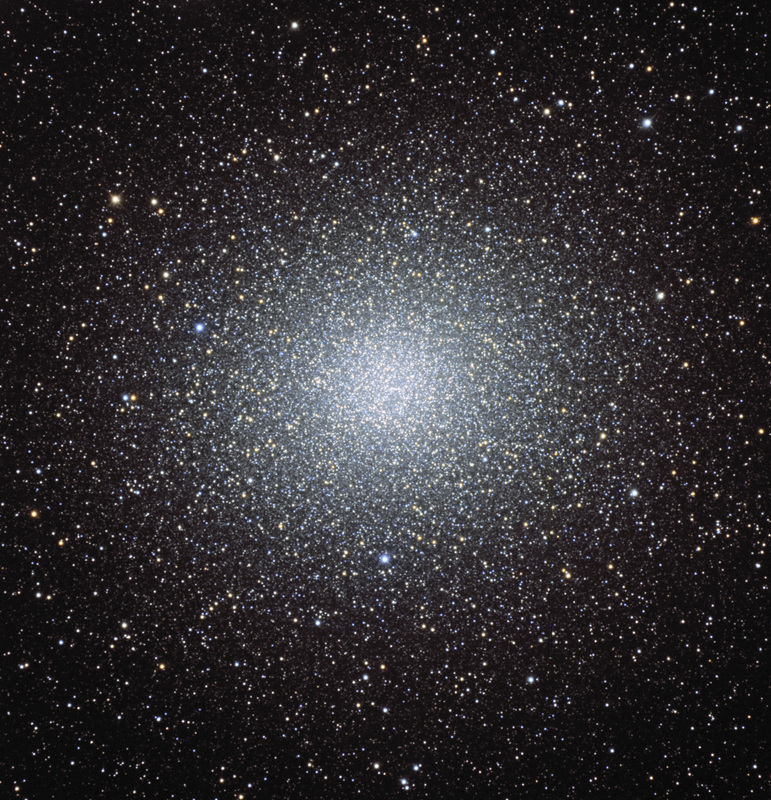 omega Centauri is one of the gems of the southern skies in the constellaton Centauri. It was originally thought to be a star by Ptolemy, a nebula by Halley in 1677, and finally a globular cluster by Herschel ~1830. omega Centauri is unusual and is considered to be a dwarf galaxy stripped of its outer stars due to a collision with our Milky Way. It is about 10 times larger than most globular clusters, contains several generations of stars, and may be harboring a black hole. Stars are moving very fast in the core, suggesting the presence of a black hole based upon HST and Gemini South data. There is a wonderful, animated image on the ESA site zooming into omega Centauri at :http://www.esa.int/esaSC/SEMPGM5QGEF_index_0.html. It is a joy to watch. The above image is ~ 40′ x 40′. Only unbinned RGB data were used at a plate scale of 0.65"/pixel. Registar counts 22,394 stars in the omega Centauri image.